Quality products made of beech wood and other hardwoods. 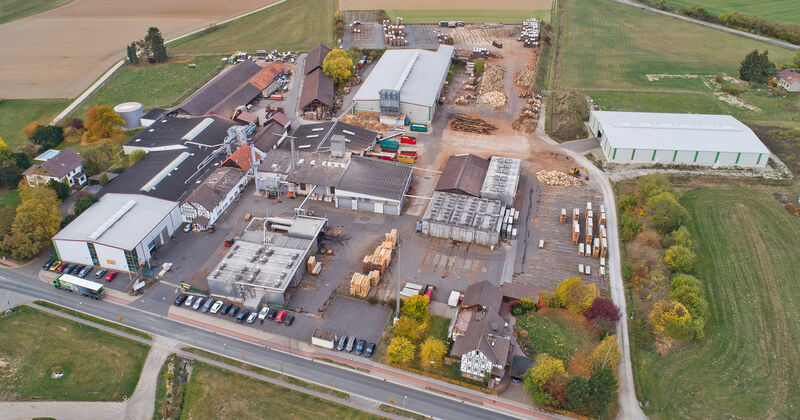 Schaeferwerk is a modern company with more than 120 years of experience in the manufacture of lumber and processing of beech timber. Our products are derived only from selected logs taken from locally managed sustained forests (PEFC). Wood is becoming a high-quality material. Our goal ist to provide the requested quality to every customer and simultaneously use the timber as efficiently as possible. To achieve this, it is an absolute necessity to grade the timber after every step of production process and combine several cutting lists via computer to realize an optimal timber yield. This is the best way to process — for economical and ecological reasons. Protecting our environment is a major concern for us, so we have bought wood from sustainable forests for a long time - since 2/10/2012 our company is certified according to the recognized PEFC CoC standard. We may supply you with certified lumber, panels, plane parts and solid wood panels. The PEFC certificate brings the assurance that the wood is from sustainably managed forests. You can find more information about the PEFC standards here. 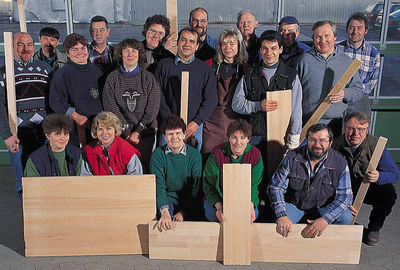 Until the early 80ies mainly wooden furniture components such as cabinet rails and frames were manufactured. By the mid 1980's th focus of production shifted towards the manufacture of high quality lumber and strips. To meet constantly changing market-conditions we are continuously updating our production programme and the necessary equipment to match the highest technological standard available, for example by utilising computer-controlled machinery. In 1992 we implemented solid-wooden edge glued panels to our programme and in 1996 finger-jointed strips. Due to the constantly increasing energy prices, wood on the one hand is in great demand as a combustible material and on the other hand it's utilization value is given a higher priority. Finger-jointing and gluing the resulting dimensions and qualities improve the yield of the valuable raw material. As an example, remnants – even those of our customers – are glued to ensure a better utilization of the material.